“THE TIME AND THE TRICKSTER “ is a collaboration between Nigerian composer Juwon Ogungbe and Choir MD Daniela Rosselson De Armas. They first met at Dalston’s iconic Jenako arts ( situated on the Balls Pond road and centre of much non-western artistic activity in the 1980’s) many years ago. In this performance , the aim is to set the record straight about ‘Eshu’ – a Yoruba deity who, it’s claimed, has been demonised by Anglican priests. Eshu is presented in his traditional role as the trickster God, master of fate and destiny – and a force for good in the worldview of adherents of the Afro Cuban Lucumí faith. This work is sung mainly in English, with some Yoruba, the piece is based on a Yoruba myth (‘patakin’) about Eshu, who tricks three female river deities – Yemoja, Oya and Oshun – into bickering over the profits of a business transaction. It features instrumental passages for piano and Cuban bata drums. Juwon says, “Time and the Trickster’s Heart” is intended as a timeless piece of Yoruba British Art Music. 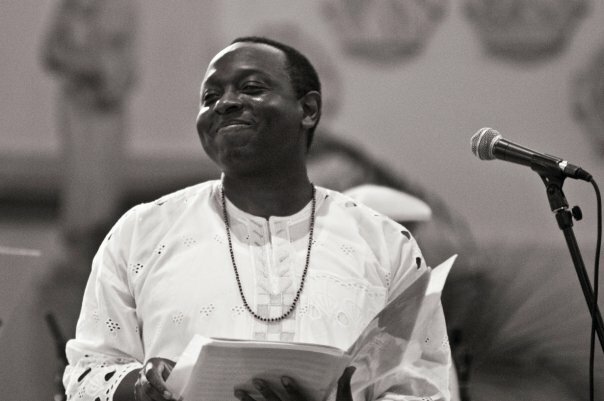 It is a choral work that is full of drama, aiming to shed light on the wisdom and depth of the Yoruba belief system. 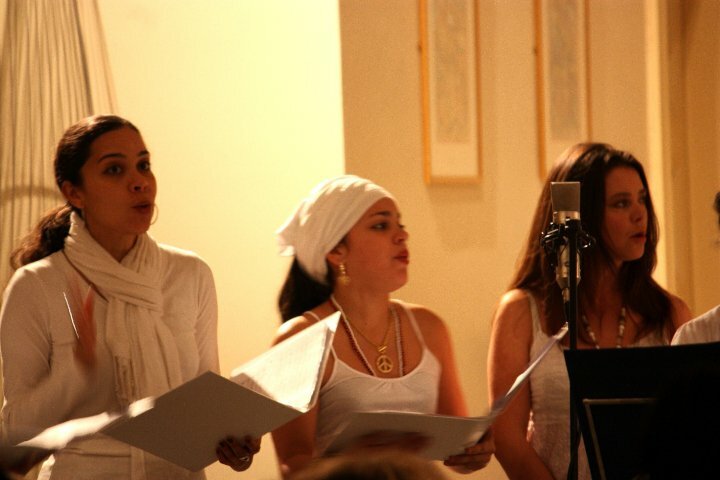 …London Lucumi Choir is a trailblazing group. I found the idea of composing for this choir irresistible and I’m proud of my association with its members. 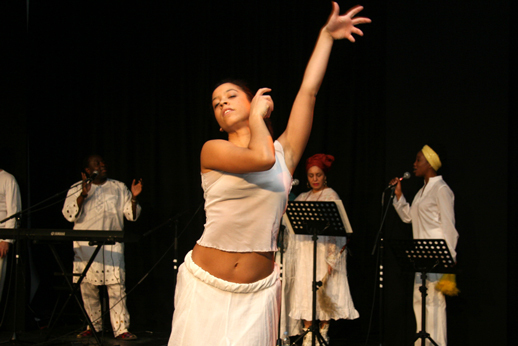 The work was funded by the Arts Council and was first performed in St John’s church in December 2009. The work was performed a total of four times all over London. The choir is hoping to record this work in the future and hopes to continue collaborating with Juwon. FEATURE PHOTO COURTESY Of Union Dance. 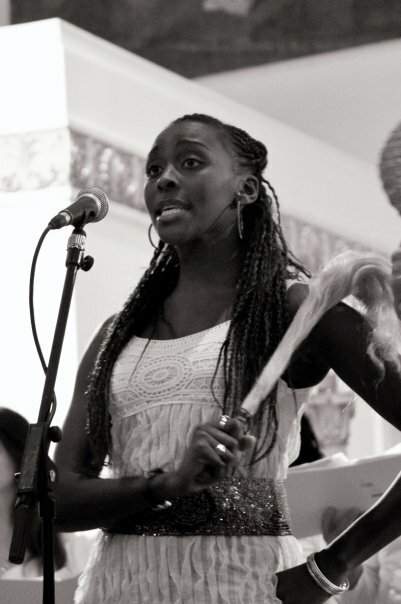 Sheila Ruiz, choir member dancing the part of Yemonja.